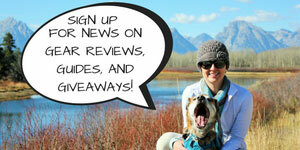 In the past we’ve focused a lot on dog harnesses specifically for hiking. 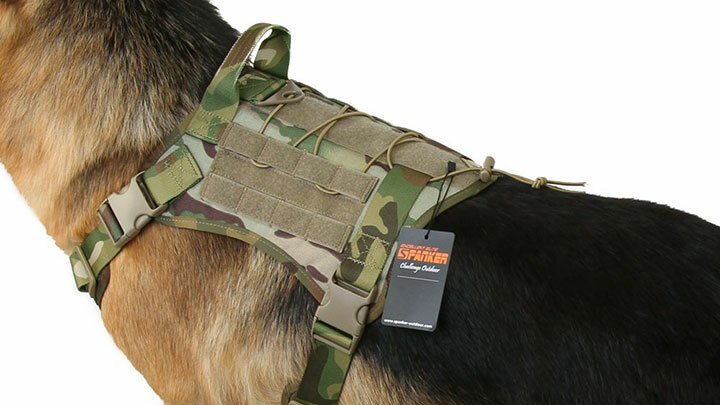 Today though I want to talk about tactical dog harnesses. One, because they’re extremely functional for outdoor activities, and two because…well…they look awesome. Note: For the purpose of this article harness and vest will be used interchangeably to mean the same thing. 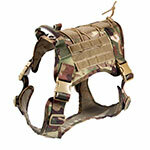 What is a tactical dog harness? 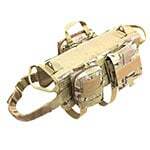 A tactical dog harness is multi-functional and often employs a MOLLE (Modular Lightweight Load-carrying Equipment) system allowing for the attachment of bags and equipment. 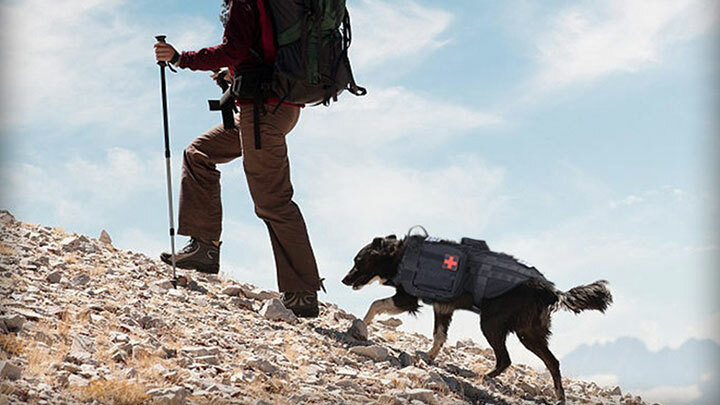 Many are worn in the field by military or police dogs, but also hikers or extreme sportsman due to their ability to handle considerable wear and tear. This no-rub harness is 100% escape-proof, and the front clip allows you to train your dog to walk beside you with little effort. 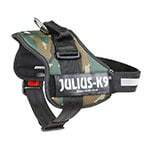 The alloy metal buckles on the shoulder position of the vest are perfect for load-pulling pooches. 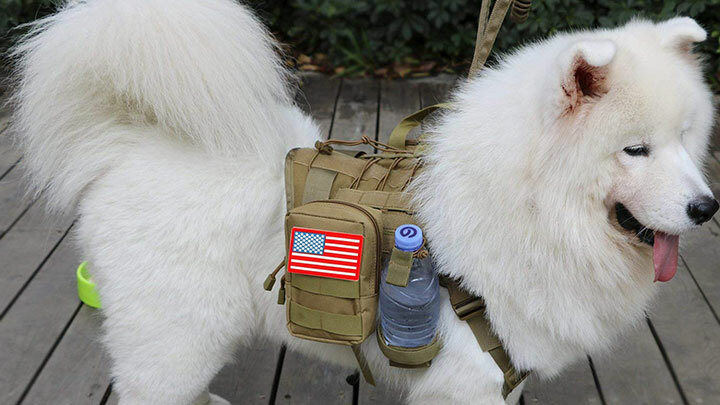 There’s plenty of room for patches, and the two 1” strips of MOLLE sewn onto both sides allow your dog to carry gear when training or adventure hiking. Did we mention that it’s made of military 1050D nylon, one of the strongest materials on the market? This harness is great for medium to large dogs and is well-padded in pressure areas for extra comfort. Its 4 quick-release buckles make the harness super easy to clip on and remove. 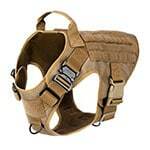 Plus, the soft velvet neck strap, two adjustable chest straps, and belly band keep your canine comfy and controllable. 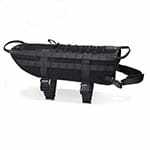 With the MOLLE hook and loop system, you can add on treats and toys, extra pouches, or water. Its high quality and intuitive design make it a definite crowd-pleaser. 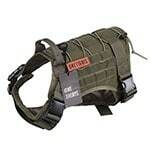 What types of dogs need a tactical harness? 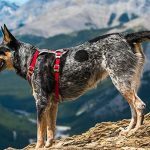 So what’s the right tactical harness for your dog? When selecting a harness, there are several important factors to consider. 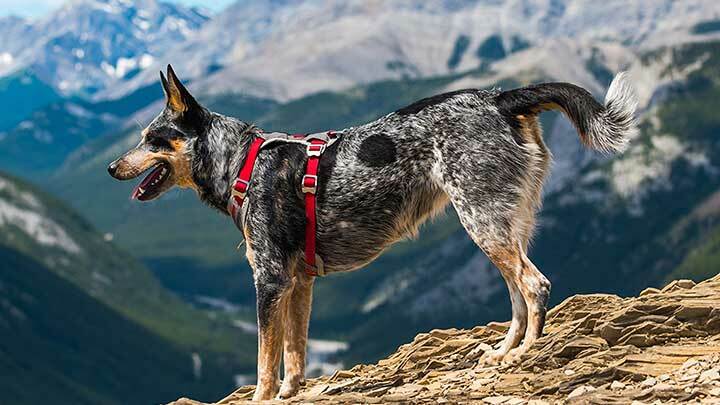 What kind of tactical harness is best suited to your and your doggo’s needs? Are you looking for increased overall control? An added layer of protection? Identifying these elements beforehand makes choosing the right tactical harness or vest much more straightforward. 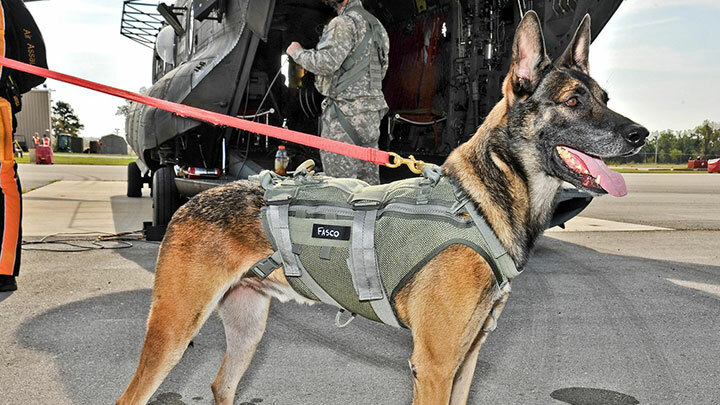 Tactical dog harnesses are made for dogs of all shapes, sizes, and breeds. Girth. Inches around your dog’s chest, right behind their front legs. It’s a good idea to add 2” to your measurement to accommodate for weight gain or coat growth. Length. Inches from the back of their shoulder blades to the beginning of their tail. Lower neck. Inches around their lower neck. Keep in mind that measuring instructions may vary by the manufacturer, and there are lots out there. 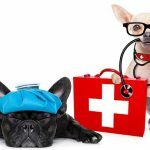 To help you and your canine companion make an informed choice, we’re going to take a look at the top picks from our list above in a bit more detail. We’ve already looked at our top pick, ICEFANG, and our runner-up OneTigris, now let’s take a look at the rest. Widely used in the United States and across Europe by policemen and firefighters, this tactical harness is the top choice for working dogs. The harness features a reflective chest strap and edges, a steel leash attachment ring, crash-tested buckles, and a side-bag attachment option. 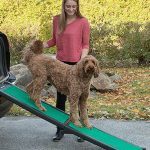 It also distributes your dog’s weight equally and ensures that their joints are kept safe without restricting their movement. 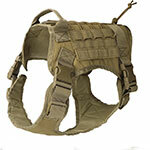 This harness has a versatile look and is appropriate for outdoor sports, training, military, and leisure. It has quick-release buckles with tri-glide adjustment clips. Designed to prevent chafing and hair pinching, it’s made of durable nylon material with neat stitching and soft padded lining. The MOLLE system and the elastic bands on top also allow for additional storage, leaving you with more room in your bag. 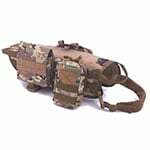 Lightweight and practical, this multi-purpose harness also comes with 3 detachable double-zipper MOLLE pouches and 3 high-quality rubber patches. 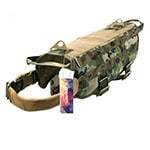 There are 2 carry handles on both sides of the vest, plenty of webbing, and additional attachment points for leashes, magazine pouches, or water bottles. This compact-style vest comes with 3 detachable pouches. 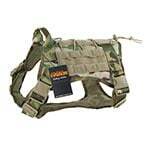 Both ends of the vest have a carry handle and plastic leash buckle, with Velcro down the back for patches. It’s made of 1000D nylon and the soft pad insert on the collar keeps fido free of injury. Note: We had some outdated information, our updated review will be coming soon. This tactical harness comes with everything you need when you’re in the field, in combat, or just exploring, including a detachable water bag, drawstring bag, and reflective Velcro patches. 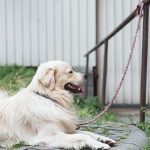 It’s made of 1000D nylon with tight stitching and firm adjustable straps, complete with 2 carry handles on each end of the harness to lift or carry your dog in difficult situations. 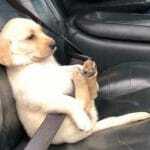 Man’s best friend needs to be prepared too. 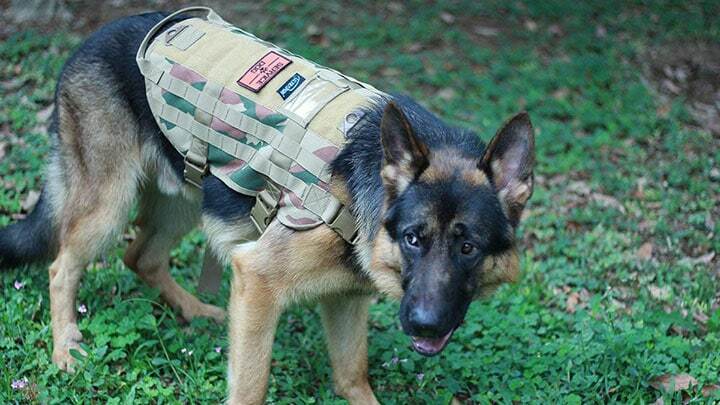 A tactical dog harness or vest is the best way to ensure that you and your furry companion are ready for what’s out there. Stay safe, and happy adventuring.